For Path of Exile speak its complexity, the cost-free - it is free - and the ever following extensions. Come and see if Path of Exile is just one of a series of action RPGs, or if it's a fresh wind in a cheerless genre. Like in Diablo, you control your character from above through gloomy worlds and fight monsters. To do this, choose one of six classes that are initially available and adapt them to your style of play using complex systems. They are not limited to some abilities of individual classes, but are allowed to learn everything that the game has to offer. However, each character has different talents that partially accelerate that. The many items and the gemstone system make your character complex. New updates regularly add new skills, items and challenges. 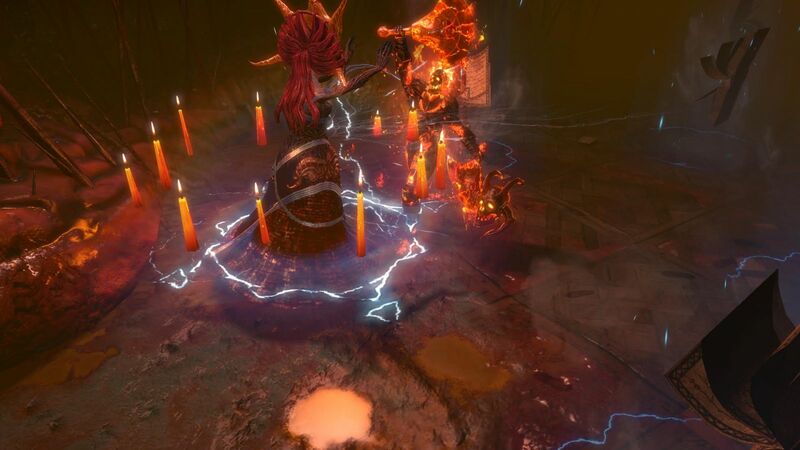 Path of Exile grows with your heroes. And if you want to test your true strength, of course, the game also offers a duel mode. Since you always play online anyway, such matches are quickly organized in the villages. Here you meet other players, even if they do not take part in your adventures. All this is free, as Path of Exile is funded only by optional microtransactions. However, the game is only available for Windows.